This custom mug goes perfectly with the matching blue one. 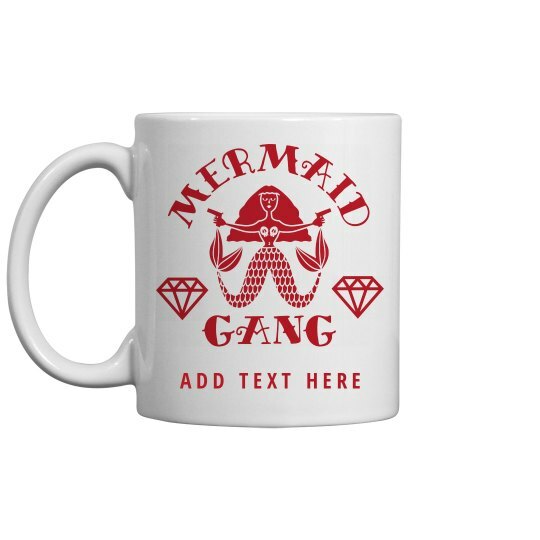 If you want to get these as a gift for everyone in your mermaid gang, switch up the colors and add everybody's name to the bottom! This would be a great party favor for your bachelorette party.